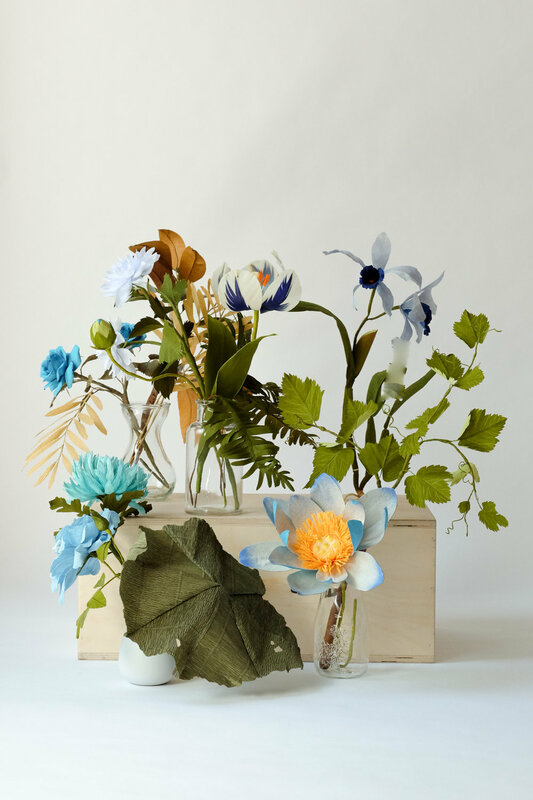 “Botanical Impossibilities” a collaborative project between two paper artists, Anna Chedid and Yang Liu. This collaboration explores the colour blue, a relatively rare colour in real flowers, in a photographic series of botanical paper sculptures. The project was shot at the beautiful VSCO Open Studios in Oakland, California. VSCO Journal subsequently published “Paper Flowers” an article on this project.